On the southeast corner of High Island at Sai Kung lies Pak Lap Wan, a quiet beach facing Town Island. 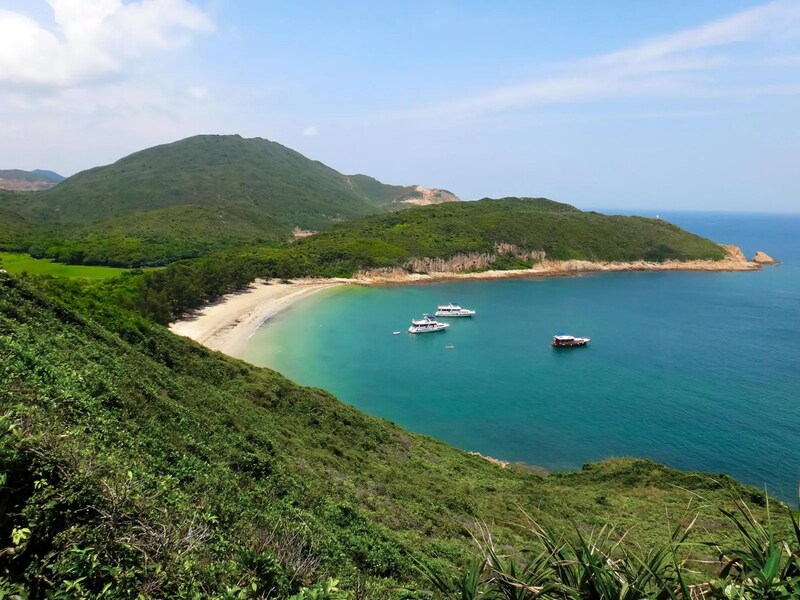 In the past, the High Island is a real island and people can only reach Pak Lap Wan by boat from Hong Kong Island, Kowloon or Sai Kung, but with the strong wind and waves in South China Sea, it is not easy to get there. But after the establishment of High Island Reservoir, High Island is connected to Sai Kung Peninsula through West Dam and East Dam. Pak Lap Village is only 5 mins walk from Pak Lap Wan. Many villagers once left their home for the city due to the easy transportation after the connection of High Island to the “real world”. But nowadays, many hikers and tourists come here to spend their weekends or holidays, leading to a high demand of accommodations. Therefore some villagers returned and ran hostel related businesses. On the east side of Pak Lap Wan, around 30 mins climb to the Tung Sam Kok Peninsula, hikers can find Mok Min Cave, a.k.a. Tung Kok Cave, best-known sea cave in Hong Kong. To get to Pak Lap Wan, hikers can take Bus 94 from Sai Kung Town Center and get off at Pak Tam Chung. Follow Maclehose Trail Stage 1 along the Man Yee Road for about 2 hours. Turn right when you see the sign of Pak Lap Village.